« Should You Be Worried About Tree Pollen? The first thing you should know about humidity and air conditioners is that humidity can, in fact, negatively impact your cooling system. And since we live in one of the most humid states in the country, that can be a problem! Think about how uncomfortable excess moisture makes us. We try to compensate for it by turning our thermostats down lower and lower. 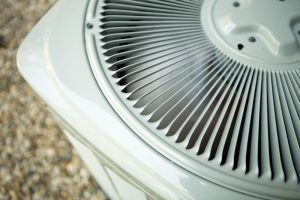 Unfortunately, this means you’re making your air conditioner work harder than it should have to in order to perform, and it will accumulate wear and tear faster as a result. Additionally, even though an air conditioner does remove some humidity from your indoor air, it is not a wholly effective means of dehumidification. Humidity is considered “too high” when the relative humidity level in your living space is above 50%. Comparatively, relative humidity levels below 30% are considered too low. We don’t experience this too often, if ever, in our corner of the country, but dry air is often just as detrimental an issue as humid air. When humidity is too high, we can’t sweat, and since this is the human body’s natural way of cooling off, we become very uncomfortable. When humidity is too high, there’s too much ambient moisture in the air, sweat stays on our skin, and we turn our air conditioners up to try to compensate for the hot, muggy feeling inside. In addition, this excessive moisture encourages the growth and development of mold and bacteria, which can make you sick. As we alluded to above, the best way to lower humidity is by lowering the temperature inside. This causes moisture to coalesce into droplets (much like you notice outdoors on early mornings). This means your cooling system does essentially serve as a dehumidifier by default, but not at the level you need it to. Simply put, air conditioners are not designed to control humidity levels. Sure, they remove some of the moisture from the air naturally just by operating, but it’s not a significant amount, and you really have no control over how much moisture is actually being removed. Excessive moisture in the air causes your cooling system to work harder than it needs to, just to do its job. This is a waste of energy and will end up costing you more money on your utility bills. Whole-house dehumidifiers are the answer to excessive moisture in the home. Over time, high humidity levels shorten the lifespan of your air conditioning system. However, a whole-house dehumidifier is designed to remove excess moisture from your home, without negatively impacting your air conditioner. In fact, the dehumidifier actually helps your air conditioner, since you won’t need to turn the thermostat down as low—and then your cooling system won’t have to work as hard to do its job. Ultimately, when you use a whole-house dehumidifier in combination with your air conditioner, you’ll have more precise control over the relative humidity and the overall comfort of your home, while helping your cooling system operate more effectively and efficiently. For quality HVAC in Milton, FL, contact Kool Breeze of Northwest Florida, Inc.